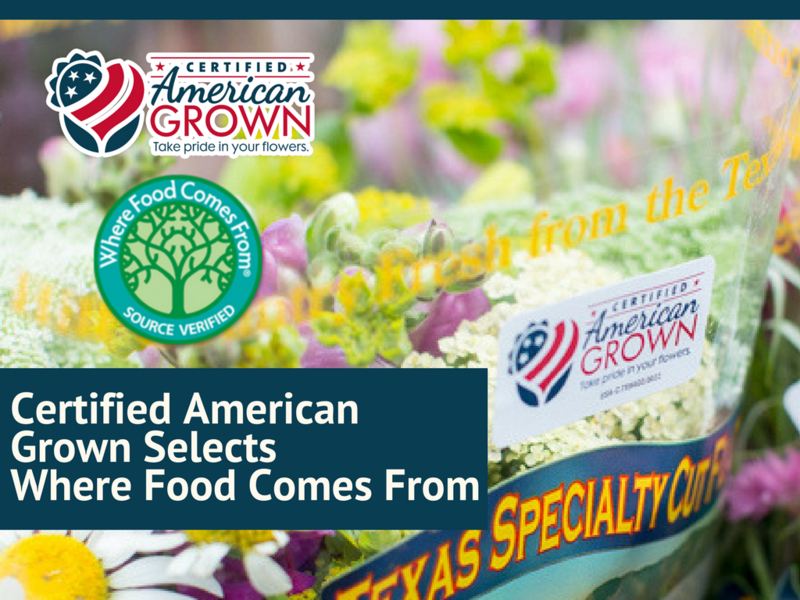 Certified American Grown Flowers has selected Where Food Comes From Inc. (WFCF) as its official exclusive third-party certifier. The new partnership will be launched via video conference on September 14, introducing the team at WFCF and highlighting program improvements as well as the new benefits of the Certified program going forward. WFCF is an agriculture-focused certification company that specializes in origin claims for food and products. Based in Castle Rock, Colorado, WFCF has over 20 years of experience with source verification programs and is recognized as the No. 1 provider of certification and verification services to the food industry. “WFCF’s depth of experience, paired with a tremendous amount of enthusiasm for the great potential they see in further developing Certified American Grown, will really help take our program to another level,” said Kasey Cronquist, administrator for Certified American Grown. Millions of stems of flowers are now Certified American Grown every year to help consumers quickly identify homegrown blooms at point of purchase. Certified American Grown is the largest consumer-facing brand in the floral industry, communicating the importance of origin and buying American Grown Flowers. With WFCF in place, Certified American Grown has created a new online audit processing system that streamlines the procedure for farms seeking to earn this valuable certification for marketing and increasing sales. Earning certification as an American Grown flower farm not only communicates the homegrown origin of a farm’s flowers and foliage, it also helps consumers quickly make purchasing decisions based on their understanding of quality, sustainability, seasonality, freshness and consistency. The American Grown Flowers brand symbolizes a unified and diverse coalition of U.S. flower farms representing small and large entities across the country. Together, the brand and its logo give consumers confidence in the homegrown source of their flowers and assure them that the bouquets and bunches they purchase come from an American flower-farming family.